Sinhala and Tamil New Year ( Aluth Awurudda ), a most awaiting and one of the most important festival celebrated by not only Sinhalese people, but by most of the Sri Lankans. It is generally celebrated on 13th April or 14th April and traditionally begins at the sighting of the new moon. 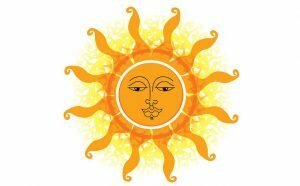 According to Sinhalese astrology, New Year begins when the sun moves from Meena Rashiya (the house of Pisces) to Mesha Rashiya (the house of Aries). It also marks the end of the harvest season and of spring. By celebrating, people believe that they have engaged in a new beginning to their lives, they hope with the new beginning they will achieve prosperity, success and happiness to their lives, their families and to the country. Celebrating is not like throwing a party at the house, invite everyone and have fun. It is much more important and precious, ritual/ custom that every Sinhalese obeys most and give importance in their lives. 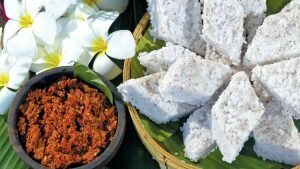 For this have to be ready to follow valuable Traditional Sri Lankan Rituals which inherited from ancient ancestors which is transferred from family to family, generation to generation. Preparing meals for the New Year should begin at 10.40 am on Saturday the 14th of April.